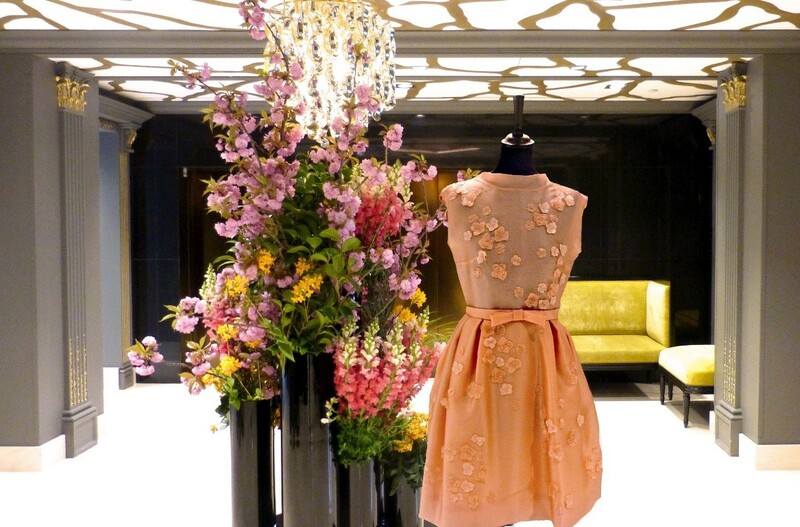 Sofitel Paris Le Faubourg celebrates spring with a radiant array of seasonal blooms. With just a few days to go before the start of spring, Sofitel Paris Le Faubourg is teaming up with Artnuptia Murmure by Spirit, an artisan haute couture workshop, to host a floral exhibition, Blossom Bloom. On display throughout the hotel and in the eponymous restaurant Blossom, floral creations have been transformed into genuine fashion accessories, adorning hats and headdresses as well as the floral dresses of the Fédération Française de la Couture sur Mesure (French Federation of Bespoke Tailoring). Each flower has been handcrafted in one of the brand’s two workshops located in Paris and Charleval, France. The Blossom restaurant, which already offers a light, plant-based cuisine that is as close to nature as possible all year round, is also putting flowers center stage in its culinary creations. On March 20, 2018, Head Chef Alexandre Auger will be celebrating spring with a floral-inspired menu, including edible flowers to garnish the starters, main courses and desserts. The new spring menu will also be unveiled this month, creating a perfect combination of new flavors and local seasonal produce. Chef Alexandre Auger draws inspiration from the seasons to offer healthy and delicious dishes that perfectly complement a wine list that gives pride of place to organic and bio-dynamic growing. Pastry Chef Shereen Khelif has created an Easter Egg inspired by the flowers and fruit trees that blossom in springtime in the restaurant garden. This creation will feature in the famous egg and spoon race organized by the Faubourg Saint-Honoré Committee in the Champs-Elysées gardens. Nestled between the white sandy beach and the lush vegetation of the mountains, Avista Grande Phuket Karon, MGallery, puts the spotlight on Phuket’s Chinese-Portuguese cultural heritage by combining modern luxury with old-world charm. Enjoy the comfort of this 5-star hotel, which overlooks Karon beach, in the south of Phuket. 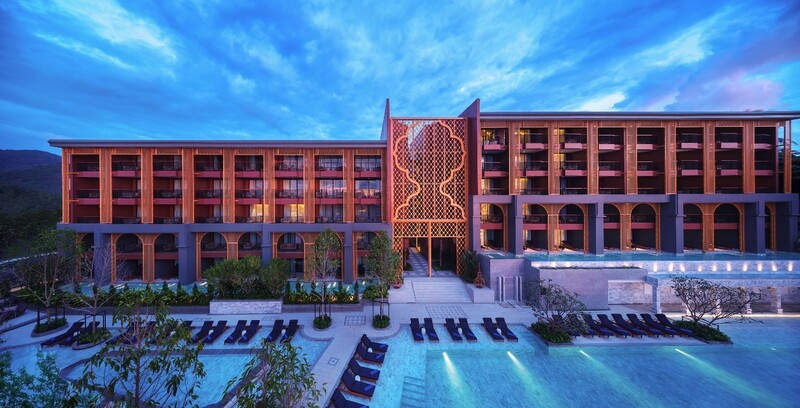 It offers 159 rooms including 7 private suites inspired by European culture. PortoSino, the hotel’s restaurant, invites guests on an authentic culinary journey, combining the flavors of Portuguese, Chinese and Thai cuisine with just a touch of Western flavors. Guests can retire to the various bars to prolong the enchantment in this true tropical paradise. MGallery Avista Grande Phuket Karon is the brand’s ninth property to open its doors in Thailand, following in the footsteps of MGallery Avista Hideaway in Phuket Patong, VIE Hotel Bangkok, Hotel Muse Bangkok, V Villas Hua Hin and Veranda Chiangmai – The High Resort. Relax, have dinner, and… conduct an investigation? Yes, you really can at Novotel! 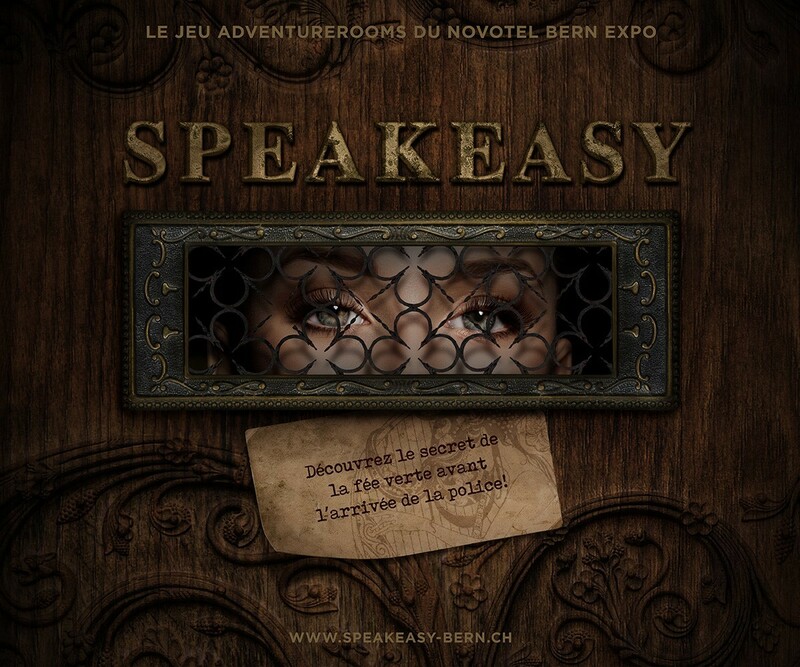 Following the success of ROOM 67, which opened in February 2017 at Novotel Zürich City West and was voted “Best Service Innovation” at the Worldwide Hospitality Awards, Novotel Bern Expo has decided to include an Escape Game Room in its range of services. Open to hotel guests and non-residents alike, this room is themed on Speakeasy bars, in which participants are transported back into a secret society during the Prohibition era. A concealed bar becomes the venue for this exciting experience in which players aim to find a secret recipe before the police arrives 60 minutes later. This game was created in partnership with AdventureRooms, a team of seasoned experts in live escape games both in Switzerland and internationally. Thanks to their expertise and attention to detail, this enthralling adventure set in the heart of the 1920s will appeal to anyone who revels in escape games. In January 2018, Novotel Paris Est unveiled a new escape game room within its walls, open to both residents and the public. In this second scenario, devised by Laser Quest, the basement of the hotel is the location of a crime scene, and participants must then unmask the culprit in less than an hour, a real challenge! Escape Game Novotel Bern Expo: from €25 per person. Escape Game Novotel Paris Est: from €20 per person. Escape Game Novotel Zürich City West: from €25 per person. 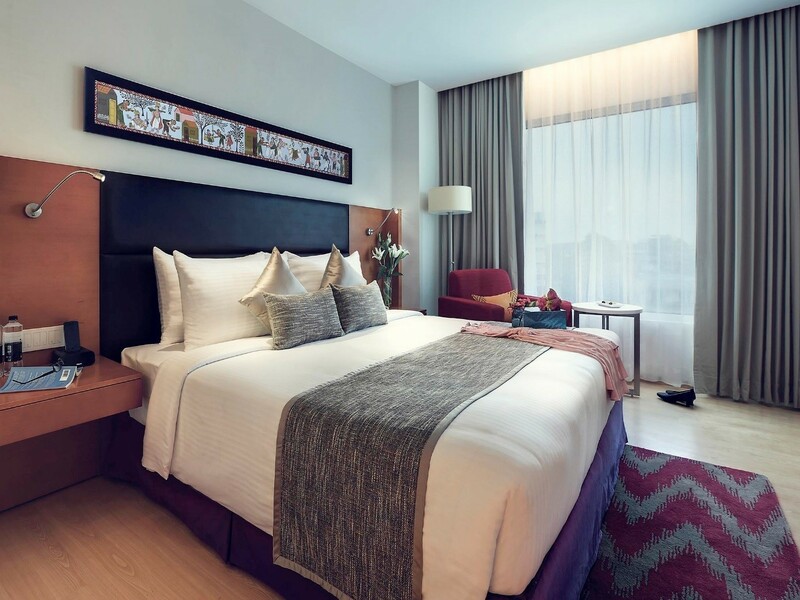 The Mercure brand has opened its latest hotel in Chennai, India, in March 2018. The hotel is ideally situated in the main international business district in Chennai and within easy reach of the airport. This prime location is perfect for business travelers who will be able to take advantage of a welcoming hotel just a short walk from Chennai’s leading companies and businesses. In order to meet the expectations of its business clientele, Mercure Chennai Sriperumbudur features six meeting rooms with outdoor spaces that can accommodate up to 150 people. The hotel’s 100 guestrooms, decorated in warm shades and wooden hues, offer every comfort: luxury bedlinen, spacious bathrooms, free high-speed WiFi, tea and coffee- making facilities, with far more to discover within the hotel. And to unwind, nothing beats a vitamin-packed cocktail to be enjoyed poolside or in the “Hybrid” lounge, where visitors will find a pool table and a games console. Food lovers can feast on a wide array of international flavors in the “Melange” restaurant, which is open 24/7. After taking a break for a few months this winter, Jo & Joe Hossegor are reopening their doors on March 23! 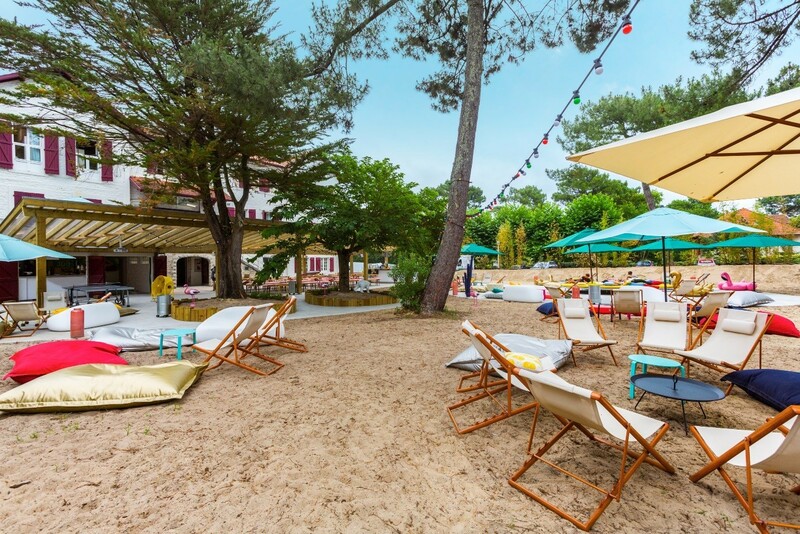 The first “Open House” of AccorHotels Group’s brand dedicated to millennials took some time off to recover after several months of fun, surfing and chilling. With the departure of freezing temperatures and the melting of a few snowflakes, it is now time for JO&JOE Hossegor to get back in the saddle to welcome surfers, adventurers and locals all in search of sun and friendship. In shared or individual rooms, the 144 beds have been prepared to welcome the first visitors of the new season! Just a five-minute walk from the beach, this Basque/Landaise-inspired building is the ideal place for a stay with friends of family, or for friendly and relaxed business seminars. JO&JOE is also a place where travelers and locals alike can meet up with the opportunity to have a bite to eat in the restaurant where the dishes are locally inspired, simple and full of flavor. Never short of ideas, Open House also offers an extensive program of events throughout the season such as parties, concerts and other activities. For JO&JOE Hossegor, 2018 will be a year bursting with even more discoveries, laughter and unforgettable moments. Bed in shared room from €19 per night. AccorHotels is a world-leading travel & lifestyle group and digital innovator offering unique experiences in more than 4,300 hotels, resorts and residences, as well as in over 10 000 of the finest private homes around the globe. Benefiting from dual expertise as an investor and operator through its HotelServices and HotelInvest divisions, AccorHotels operates in 95 countries. Its portfolio comprises internationally acclaimed luxury brands including Raffles, Sofitel Legend, SO Sofitel, Sofitel, Fairmont, onefinestay, MGallery by Sofitel, Pullman, and Swissôtel; as well as the popular midscale and boutique brands of 25hours, Novotel, Mercure, Mama Shelter and Adagio; the much-prized economy brands including JO&JOE, ibis, ibis Styles, ibis budget and the regional brands Grand Mercure, The Sebel and hotelF1. AccorHotels provides innovative end-to-end services across the entire traveler experience, notably through the recent acquisition of John Paul, world leader in concierge services.